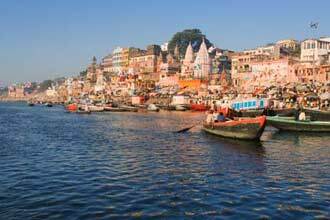 In this Itinerary of 11 days North India tour with Varanasi, you are covering Delhi, Jaipur, Agra & Varanasi in this tour package. Out of the numerous North India holiday packages with Varanasi, the tour includes Lucknow known for its etiquettes and food. Extend a few more touristic cities like Khajuraho, Pushkar, etc. with our Northern India tourism. Indian Lufthansa City Center's office Services International brings you the best tours packages in North India. Upon arrival in Delhi you shall be transferred to your hotel for check in. Late evening at leisure. Motning tour of Delhi. In Old Delhi, you shall visit Raj Ghat, the cremation site of Mahatma Gandhi, the Jama Masjid and drive past Red Fort and Chandni Chowk. Upon arrival at Railway station, transfer to Hotel for check in. Afternoon sightseeing in Lucknow , which was the 18th century capital of Nawab Wazirs & the centre of culture and tradition. Visit the Bara and Chota Imambara, Jama Masjid, Picture gallery, the Clock Tower, Roomi Darwaza, Residency & Dilkusha Palace. Overnight in Lucknow. Transfer from hotel to Lucknow railway station for train to Varanasi. Arrive Varanasi and transfer to hotel from Railway Station. Check in to hotel. Overnight in Varanasi. Early this morning take boat excursion on the river Ganges to expore the life of people who bathe early in the morning to offer the prayers to the rising sun. The two cremation ghats are Manikarnika & Harishchandra where funeral pyres burn day and night. Every pious Hindu believes that to die in Kashi and to be cremated on banks of the Ganges is to attain release from the cycle of birth and death. Evening is at leisure. Overnight in Varanasi. Upon arrival at Agra, transfer from Railway station to Hotel for check in and then visit the world famous Taj Mahal built by Mughal Emperor Shahjahan in 1630 for his Queen Mumtaz Mahal to enshrine her mortal remains. Later, visit the Agra Fort containing the Halls of Public and Private Audience and the palace where Shahjahan’s own son, Aurangzeb imprisoned him in a cell with a view of the Taj. Late evening at leisure. Overnight in Agra. Taj Mahal is closed on Friday. 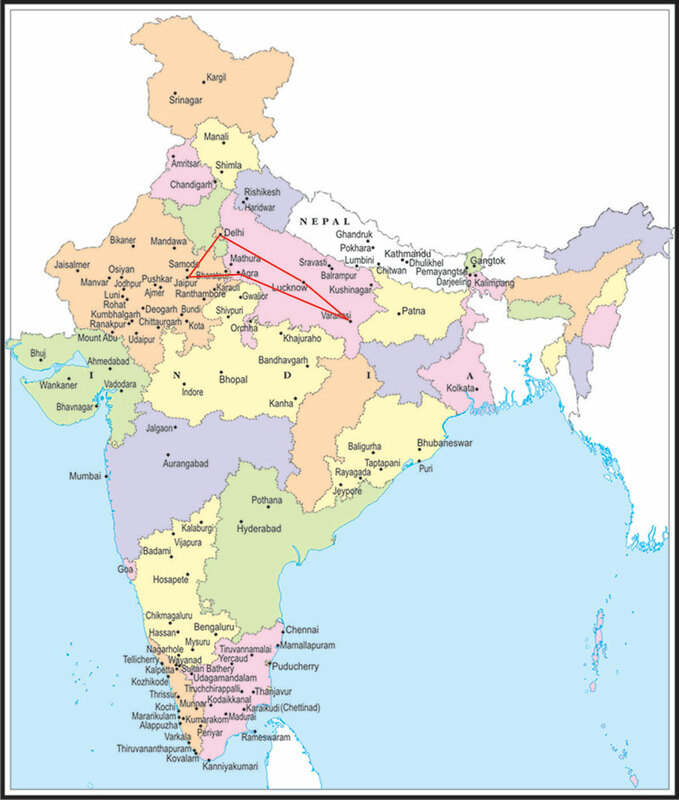 Check out from Hotel in Jaipur and drive to Delhi Airport (280kms / 6hrs) in time for return / onward journey. No Hotel Arrangements.